This jacket from Gant is a versatile piece of clothing: it is also a shirt! I love such a versatile piece of clothing: it can be a winter shirt or a jacket to wear in between seasons. The Woolster can be worn open with a top underneath, or buttoned and even worn with a belt at the waist. I can roll up my sleeves, and be a grunge girl, or wear it with classic pieces and be effortlessly chic. The color of my Woolster are different shades of blue, my favorite color...and Gant is such a legend in the shirts field, a brand born in 1949 in Connecticut. The quality, the cut of this jacket are really special, and make me love my Woolster all the more! How would you like to wear such an iconic piece of clothing? Questa giacca Gant è un capo versatile: è anche una camicia! Adoro un capo così versatile: può essere una camicia invernale o una giacca da portare nella transizione tra stagioni. The Woolster può essere portata aperta con un top sotto, o abbottonata, magari anche con una cintura in vita. Posso arrotolarne le maniche ed essere una ragazza grunge, o indossarla con capi classici ed essere chic senza sforzi. I colori della mia Woolster sono diverse tonalità di blu, il mio colore preferito...e Gant è una leggenda nel campo delle camicie, un brand nato nel 1949 nel Connecticut. La qualità, il taglio di questa giacca è davvero speciale, e mi fa amare ancora di più la mia Woolster! Come indossereste un capo così iconico? Always looking lovely my dear! I think that you rock blue tones perfectly, it really suits you! Investing in a great quality clothing item is a "no brainer" for me, esp. when it's a classic piece which will never go out of style. Even your casual looks have style. You're a fashion maven! Bellissima questa camicia Vale, mi piacciono anche i pantaloni! What a fabulous outfit for a casual day, Vale!! Those jeans are too fun!! Awesome outfit! And wow, you really look great! :) Looks so beautiful on you. I just found out your blog and I looove it, so I follow you now. I love love love your denim pants. Omg so funky and teamed with that shirt is absolutely perfection. Wonderful mami! That shirt jacket is so cute! I love the color of it. Sembri una ragazzina, bellissimi sia jeans che giacca! Questi jeans sono fantastici, li amoooooo!! Great styling idea and pictures too!! Sei carinissima in verione casual anni 90! 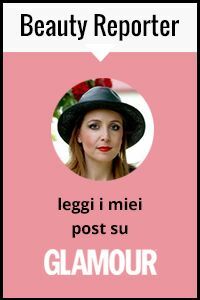 Sembri una ragazzina! E mi sono innamorata delle tue scarpe! Come ho fatto finora a non prendere mai in considerazione un paio di snekers celesti non lo so! ma sembri uscita da un telefim anni '90! sei toooop! bellissima Vale, questo outfit mi piace da matti! Che dire Vale, ti ruberei tutto perché è un look che amo alla follia... sei stupenda!!! Fortissima questa giacca/camicia! Un look sportivo ma super chic! ciao tesoro, ancora tanti complimenti e buona domenica!